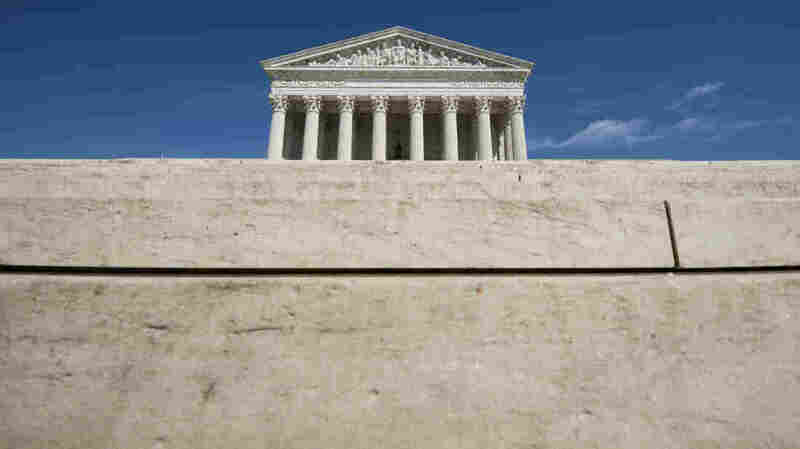 In Win For Privacy Rights, Court Says Police Need Warrant To Search Area Around Home The Supreme Court reversed a conviction that came after an officer looked at a motorcycle under a tarp outside a private residence — without a warrant. The Supreme Court has ruled previously that police cannot search the private area around a house without a warrant, but the question here was whether the warrant requirement applied to motor vehicles parked within that area. In a win for privacy rights, the U.S. Supreme Court on Tuesday ruled that police may not search the area around a private home without a warrant, even when they think they have seen stolen property on the premises. In other words, police can't just look on property or peek in windows, see something they think is illegal and start searching without a warrant. The case began when an orange and black motorcycle twice evaded police in Virginia. After some investigation, Albemarle County police were able to track down the driver, Ryan Collins, to his girlfriend's house. Later, Officer David Rhodes saw a similar motorcycle under a tarp outside a private home. When Collins arrived at the home, he was arrested and charged with receiving stolen property and convicted. The Supreme Court of Virginia affirmed the conviction, ruling that the search was proper. On Tuesday, the Supreme Court reversed that decision. Writing for the court majority, Justice Sonia Sotomayor said the private area around a house, known as the curtilage, is part of the home itself and cannot be searched without a warrant. The court rejected the police's contention that the motorcycle was like an automobile, which the court has long ruled can be searched without a warrant if an officer sees something in plain sight. Sotomayor noted that the court has always said that the power to search an automobile does not extend to the area around the house. The majority noted that police must have a warrant to search a suspect's home and to enter the curtilage. Justice Samuel Alito dissented. Justice Clarence Thomas concurred with the majority, saying it correctly resolved the issue in this case but adding that he writes separately because he has serious doubts about imposing that rule on the states. Nearly a century ago, the Supreme Court ruled that police could search a car without a warrant if they had probable cause to believe there was evidence of a crime inside the car. At issue in this case was how far the mobility argument can go in eliminating the warrant requirement in the driveway of a private home. The Supreme Court has ruled previously that police cannot search the curtilage without a warrant, but the question here was whether the warrant requirement applied to motor vehicles parked within that area. A previous version of this story said the motorcycle under the tarp was spotted by Officer Matthew McCall. The officer who saw the motorcycle on the private property was David Rhodes. The story also said the Supreme Court vote was 7-2. Eight justices joined the majority, although Justice Clarence Thomas expressed serious doubts.